The scare of Diabetic Retinopathy (retina damage due to diabetes) is increasing day by day. It has already become the third most common cause of blindness in urban areas. As for all other major diseases, prevention is better than cure; similarly, for diabetes related eye damage – the best approach to prevent blindness is to undergo routine eye checks and detect/treat diabetic retinopathy in early stages. A 46-years-old gentleman, Mr. Suresh Shigwan, resident of Tondre Gaon, Panvel, came to our eye hospital OPD with gradual decrease in vision since last 6 months. His right eye was more badly affected than left eye. For last 3-4 months he completely lost his reading vision and when distant vision started giving problem that is when he went to Advanced Eye Hospital and Institute. Mr. Shigwan has diabetes mellitus for last 26 years and had developed multiple complications due to long standing diabetes like kidney problem (Nephropathy) and heart disease but somehow, he never got regular eye check-ups done. On complete eye examination by Retina surgeon, Dr. Yogesh Patil, he was diagnosed with advanced stage of Diabetic Retinopathy i.e. Proliferative Diabetic Retinopathy in both eyes with Vitreous Hemorrhage in right eye i.e. bleeding inside cavity of eye. He was clearly explained gravity of problem and laser treatment was immediately done for (left eye) to prevent further worsening. Now, he needs major surgery in right eye and is waiting for sugar control before undergoing same. It is very important for all diabetes patients to understand complications associated with problems like diabetes and hypertension and they should get themselves routinely screened for same before landing in advanced stages which cause irreversible eye damage. Mr. A P S Narayanan, a 62-years-old gentleman, resident of Sanpada, Navi Mumbai, came to Retina Department at Advanced Eye Hospital and Institute, Sanpada, with sudden diminution of vision in his (both eyes) for 2 weeks. He had no history of any illness like diabetes or high BP in past. On complete eye examination by a Retina Specialist surgeon, Dr. Yogesh Patil at Advanced Eye Hospital and Institute, Sanpada, he was diagnosed with Diabetic Retinopathy with macular edema where small blood vessels in the retina get blocked or leaky resulting in bleeding and swelling in retinal layers. Following recommendation from the Retina Surgeon, Mr. Narayanan underwent blood sugar and blood pressure check-up which were found out to be high. Subsequently his treatment lasted for almost 6 months for Diabetic Retinopathy when he underwent multiple retinal laser and injections before complete recovery of vision and stabilization of retinopathy. This case shows that many major diseases like hypertension, diabetes mellitus can be picked by simple retina examination which is a must annually after 40 years of age even if one does not have diabetes. Get regular eye check-ups: Most people suffering from diabetes check their blood sugar levels regularly and may even get kidney and heart tests done at least once in a year, but they somehow either forget about eye-check-ups or are not counselled aggressively by their diabetes doctors. Early diagnosis if any symptoms:: If you suffer from blurry or fluctuating vision, see spots or strings floating, shadows or dark areas in your vision or have difficulty perceiving colours, you need to get your eyes checked. Keep a tab on your blood sugar levels: Keep a strict check over your diabetes. Regular exercises, healthy diet and active lifestyle are some of the key measures to control your blood sugar. Get an HbA1C test done: HbA1C test helps you to know your average blood sugar levels over a period of three months, thereby helping you understand if you have managed your blood sugar levels optimally. People with diabetes should aim to keep their HbA1C below 7% to prevent diabetes-associated health complications. 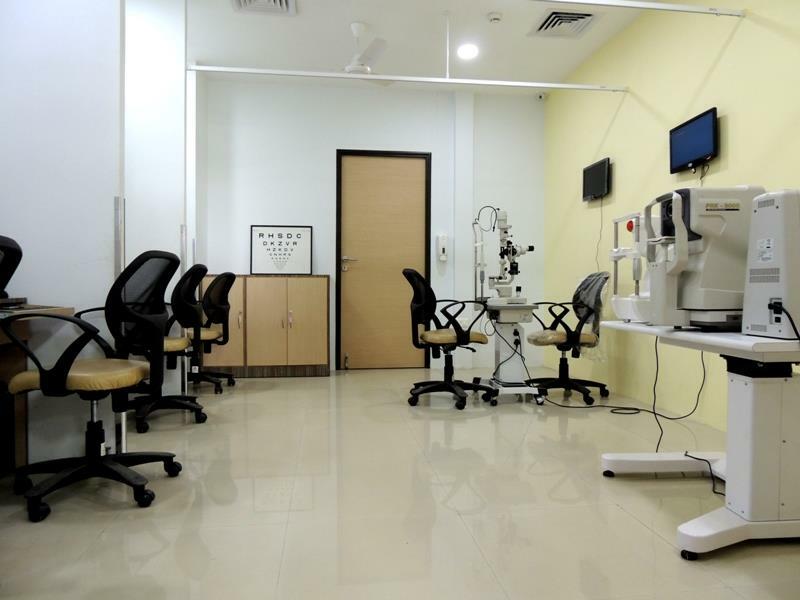 Retina Services Department at AEHI offers one of the best retina care in Mumbai and Navi Mumbai, India. 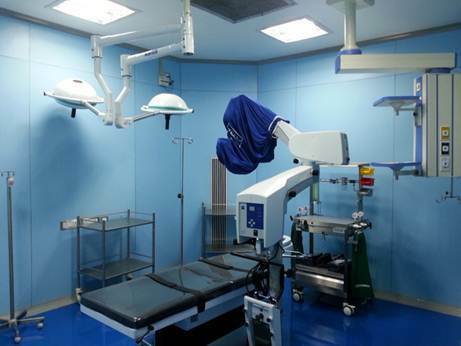 The department has all retina tests and machines such as OCT, flouroscein angiography, fundus photography and laser for retina surgery. 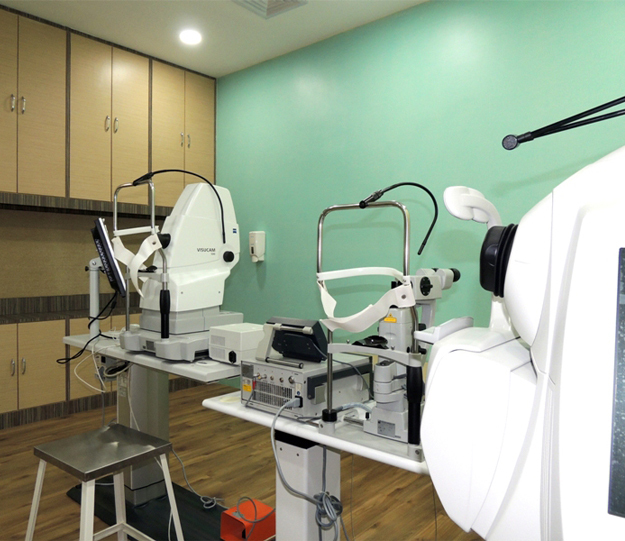 The department is run by two expert retina surgeons – Dr. Yogesh Patil and ,Dr. Haresh Asnani, both are trained in retina treatment and surgery from Sankara Nethralaya, Chennai - the best retina eye hospital in India. Retina services at AEHI treats patients from all over Navi Mumbai (Vashi, Panvel, Kharghar, Nerul) and Mumbai/Thane region.